To think about making good use of your time. Ask what the children would like to do when they grow up. Think about careers as well as occupations. Include looking after children and caring. Thessalonica was the second city in Europe where Paul helped build a church. Both of the books to the Thessalonians addressed worries about what happens when you die. Jesus is coming back one day. 2 Thessalonians tells us what we should be doing while we are waiting and to use their time well. Read 2 Thessalonians 3 v11-13. Have a general discussion about being a ‘lazy bones’. Look at the ant in Proverbs 6v6-11. 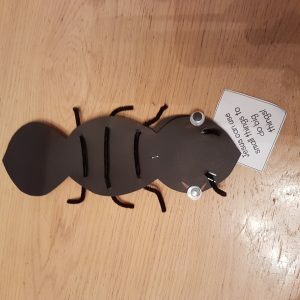 Make an ant out of card, pipe cleaners and googly eyes. 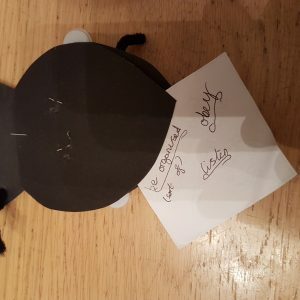 On a piece of card for the mouth, let the children think of good things they can do and write an approriate message on the other side.